Stage Management provides training in the organisational and management skills needed for managing rehearsals and performance. These include the development and use of the prompt copy, production documentation, score reading, movement and voice instruction, safety in the theatre, communication and people/time management skills, production and company management. 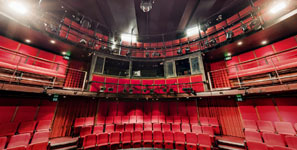 A range of technical production skills and techniques, as well as an understanding of the staging and performance requirements for drama, dance, music, music theatre and opera will be developed. These course pages detail entry requirements, fee and interview information. You can also apply from these pages. If you're ready to go, you can Apply now.